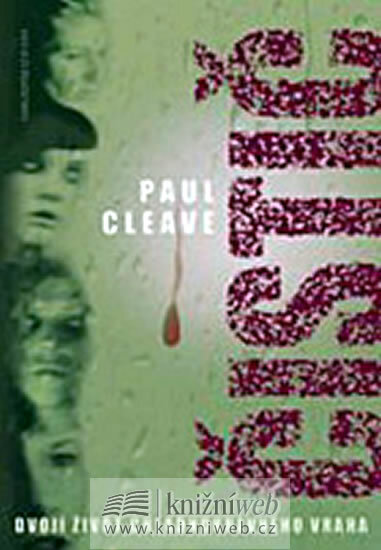 Further to my post earlier in the week talking about the importance (or otherwise) of good cover art, and sharing the striking cover for the Polish-language version (pictured right) of Paul Cleave's THE CLEANER, due to be released this week, I thought I'd take the opportunity to look at and compare the ten different covers Cleave's fantastic debut novel has had in various countries. Which version(s) do you prefer? I think the Polish version is probably the most striking, although I'm not entirely sure about having an image of 'Joe' on the cover. I also like the simplicity and starkness of the French Sonatine version, and now having seen all the versions side by side, the New Zealand and Australian versions are probably better than I first gave them credit for - although I think the 'blurry' title font takes away from some of the impact of the images used in those versions, which is a shame. I think the New Zealand one actually could have been the best, if the fonts used were better (the image is actually pretty cool). I tell you what; if you leave a comment, noting your favourite cover(s) and the reasons why it's your pick, then you will go into the draw to win a copy of Cleave's novel - in the language of your choice (I may have to pull a few strings, but oh well). Might as well run Crime Watch's first giveaway of 2011, eh? Draw will be made the end of next week. Spread the word. I look forward to reading your opinions. I like the New Zealand version the best, with the Polish one coming in second. I like suspense covers to be a bit understated. Don't need to see anymore hands against panes of glass or blood dripping down off random objects to set the scene for me. I like the mirroring effect of the Polish one, but giant knives are a turnoff as well. The New Zealand one sets up the cleaning something away premise without spelling it out in advance. Gives some space for things to unfold. It's good seeing them all lined up like that, who would have thought they could come up with such different covers for the same book! I actually like the graphic style of the Turkish version - it's so different. I like the NZ version the mirror effect of the floor is cool. I also like the french version. I like it's understatedness and the contrast of the blood against the white floor, I find it quite striking. I like the NZ cover followed by the Turkish one. I agree with you on the fonts used for the NZ cover and I do prefer when the authors name is at the top – I think it helps to build a profile. As far as the Turkish cover goes I like the simple, almost cartoonish style of it. I don't want to win a book, because being his webmaster and good friend, I have most of them. What I wanted to add was that the Australian one (the yellow background with the bloodied hand coming down the glass) was actually the winner of the Ned Kelly Award from Crime Novels ... for ... Best Cover image in 2007/2008. Paul just rang to correct me. The Australian cover did win an award, but it wasn't the Ned Kelly Award. If I recall correctly, one of Paul's books was shortlisted for the Ned Kelly Awards which is where my confusion arose from. @Seana - you mentioned that you don't need to see hands down panes of glass anymore ... I believe (and Paul just confirmed it) that his cover was one of the first, if not the first, to do that bloodied hand thing like that. He's certainly seen a number of similar covers since his book was published. I think the Polish and Japanese covers are definitely the strongest and most provocative (and in the case of the Japanese cover, the creepiest). I like the New Zealand cover. I like the NZ and Japanese covers best, as they reflect the cleaning theme. What is it about us that is drawn to dripping blood and sharp knives when we're browsing the library shelves? I know it's not just me! I think the French version says it best - just very straightforward. Although the Polish one looks terrific, I'd rather be able to imagine characters myself. I like the Australian cover best then the Polish and middle French cover tied for second. 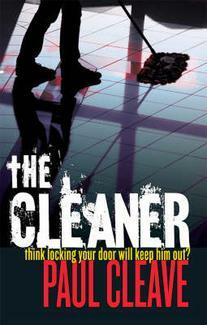 I first read about The Cleaner on a blog about a week ago and loved the sound of it so much that I've been scouring the net trying to find a copy that doesn't cost an arm and a leg. Only just learning from your post that it hasn't been released here in the States just thought the book gods were mocking me. I like these covers best as they seam to sum up the premise of the book best. For me anyway. I do hope it gets released here soon. I'm dying to read it. I'm originally from Poland (spent my first 12 years there), so is it any wonder that I like the Polish cover best? It's like a magnet, both the text and the image. The Russian cover gets my vote for 2nd place because of the mystery aspect, though I wonder why the author's surname is the exposed text while the title hides right at the bottom in invisible green. Never mind, the image is terrific. That's it. I don't like any of the others. The NZ one looks too much like hard work and reminds my guilty conscience I haven't done my floors in weeks. BTW, if you decide to award me the prize, I'm happy with the Polish version, lol.